It’s said that all families have issues. Some are more severe than others and warrant the help of a legal professional. When serious difficulties arise, a Granbury attorney can help you and your loved ones through the process. 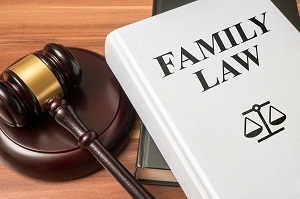 While most associate family attorneys with divorce cases, there are plenty of other reasons to retain the help of a lawyer who specializes in family law. Whether physical, emotional, or sexual, abuse should be taken very seriously. Along with contacting the necessary law enforcement officials, retaining the help of family attorney is also advised. A family attorney can help draft a restraining order and ensure that you and your family are properly protected from your abuser. If further legal action is required, your chosen attorney will represent you during hearings and throughout a trial. With their help, you have a much higher chance of breaking the chain of abuse and healing. Trying to sort out a custody agreement is anything but simple. When both parents believe that their way of parenting is best, it results in a messy legal battle. Don’t handle these issues on your own. A family attorney is well versed in the custody laws surrounding your case. They can advise you on your parental rights and ensure that you’re properly represented when it comes time to meet with the other party. Whether you’re seeking full or partial custody, your attorney will help you to take the necessary steps. 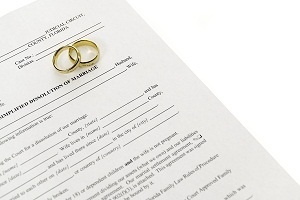 No matter how long your marriage was, it’s important to hire a family attorney when filing for divorce. Because divorce proceedings can be tricky and messy, consulting with a lawyer is always best. The division of assets, settlement of debts, and paperwork will all be handled by your experienced attorney, making the process much easier. Your attorney will also act as a liaison between you and your ex. This sort of third-party interaction provides an objective view on the situation, making it easier to communicate and reach a solution. Not all reasons to hire a family attorney are shrouded in conflict. When you’re looking to add a new member to your family through adoption, consulting with a lawyer can really help. Professional legal help is often required to ensure that the proper legal forms are signed in order to complete an adoption. Plus, with the help of an attorney, it’s easier to know your options as adoptive parents and choose a type of adoption that’s right for your family. Sometimes, couples simply need legal advice. Whether you’re looking to hammer out the details of a pre-nuptial agreement or you’re looking for protection against a relative, the legal advice provided by a family attorney can help. Your chosen lawyer is a wealth of knowledge. From legal separations to the protection of your assets, family attorneys can help. There are many different reasons to seek the help of a qualified and experienced family law attorney in Granbury, TX. No matter which familiar issues you need help sorting out; selecting the right attorney makes all of the difference. If you need legal advice, allow the professionals at GIG Law to assist you.